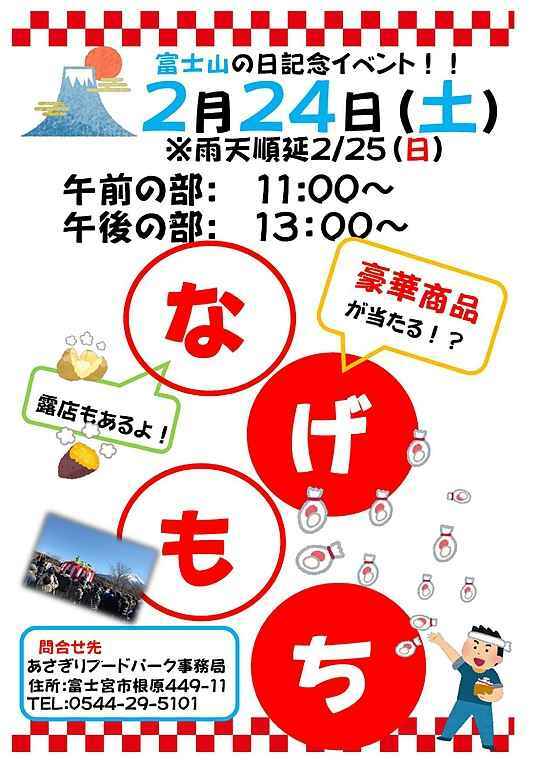 2018年2月24日（土）投げ餅 Let’s catch Mochis (Rice Cakes)!! ※雨天順延:2/25(日) ※this event will postpone untill 2018/2/25 in case of rain. Nagemochi：Throwing Mochi (Rice Cake) is usally held on Jyotoshiki Ceremony. (After the skeleton of a new building /house is completed, this ceremony is held in hope of security of the construction) There is an idea that building a new house will bring disaster and bad luck (may be jealousy by others who can not build a house) . People threw Mochi (Rice Cake )s and Coins and let other people to take them to avoid bad lucks.